This is a rectangular Polarine Oil and Greases porcelain sign. This particular Polarine Oil and Greases sign is blue with white text. 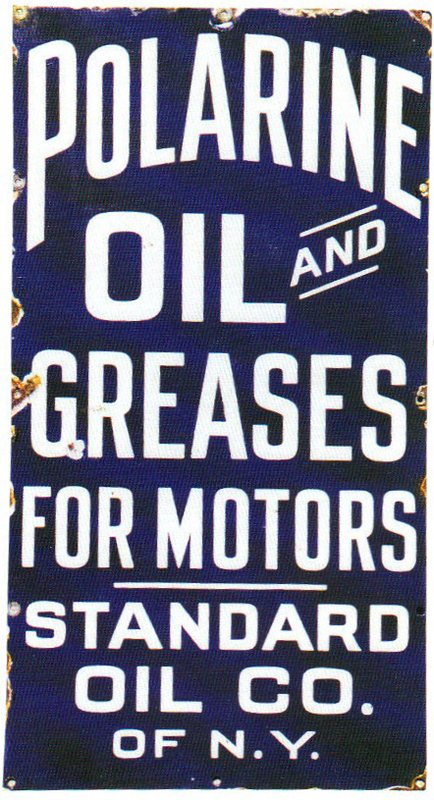 It reads, “Polarine Oil and Greases For Motors, Standard Oil Co. of N.Y.”.